Home › Latest News › The latest news of FPS! › Christmas is coming! 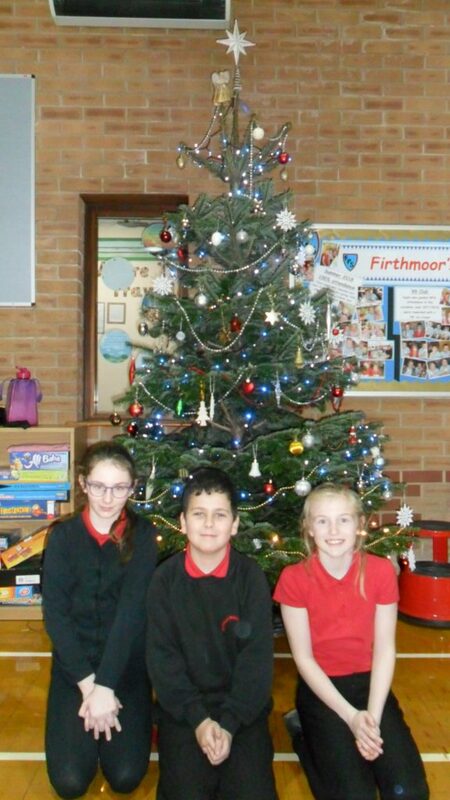 We are truly starting off the festive period at Firthmoor Primary this week. We had a beautiful Nordic Pine Christmas tree delivered into school, which some Year 6 pupils enjoyed decorating today. Here you can see Scarlet, Michael and Grace pictured with the decorated tree.